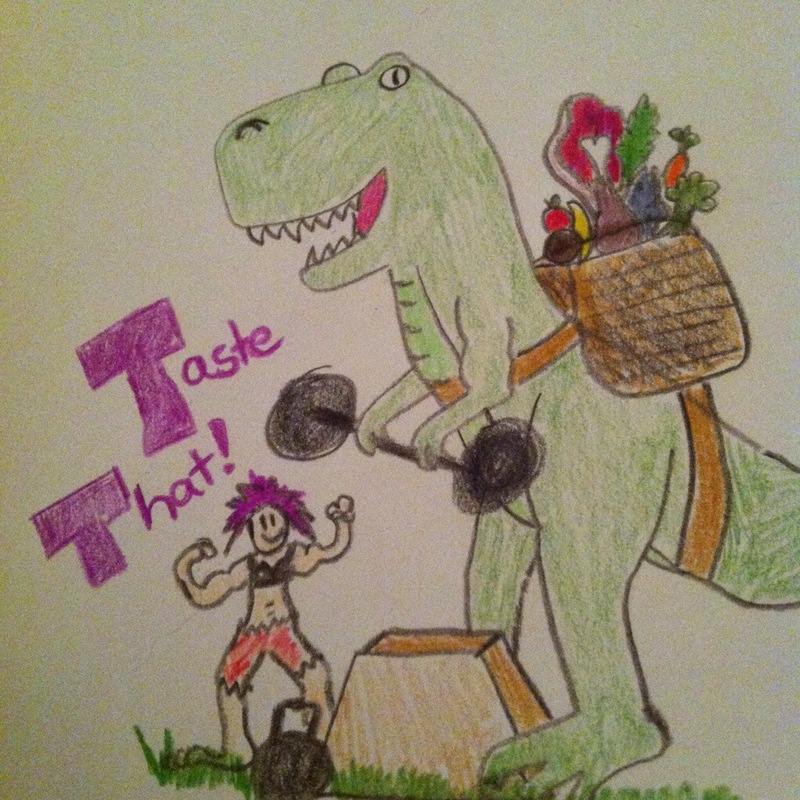 Eat Out Paleo | Taste That! Going out to eat can not only be a challenge, it can be downright overwhelming. What was this cooked in? Is this gluten-free? Does the marinade have soy? Can you serve this without sauce? It can be done, but sometimes it’s a little awkward, especially if you’re out with friends. Locally, if we need to eat out, I have my relatively safe choices, and I can usually at least get a nice salad with some grilled chicken, but when you’re far from home it can be a little daunting. This weekend, I went to the city (NY) to see a show at Carnegie Hall. I went with Mike, and one of our friends, who I’ve been trying to help eat better. We went into the city a little early, so we could grab dinner, and I went to the interwebs to try to find a place that would be fun and exciting, but super paleo friendly for Mike and I. We wanted good food, but we also wanted something that we couldn’t get at home. Our usual safe choice is BareBurger. They have a great selection of wild and grass-fed meats, sustainable ingredients, organic veggies, and gluten-free substitutions. I love getting their Baby Farmers Salad with an Elk Burger and an Egg. I highly recommend it, and we considered going there, but I kind of wanted to find something new, and took to a combination of Yelp and Google. That’s when I found out about Hu Kitchen. Their motto is “Get Back To Human” and they talk about eating the way our ancestors ate before the industry ruined food. They talk about unprocessed foods, minimizing grains, natural sugars (used sparingly) good fats, good meats, ingredient quality, and food integrity. They got me interested. I looked over their website, and definitely noticed the paleo influence, and though they DO serve some grains (such as quinoa ) they are by default gluten-free, soy free, dairy free, and GMO free unless noted. They even offer lattes with coconut milk if you want! I was PSYCHED – we needed to go here! 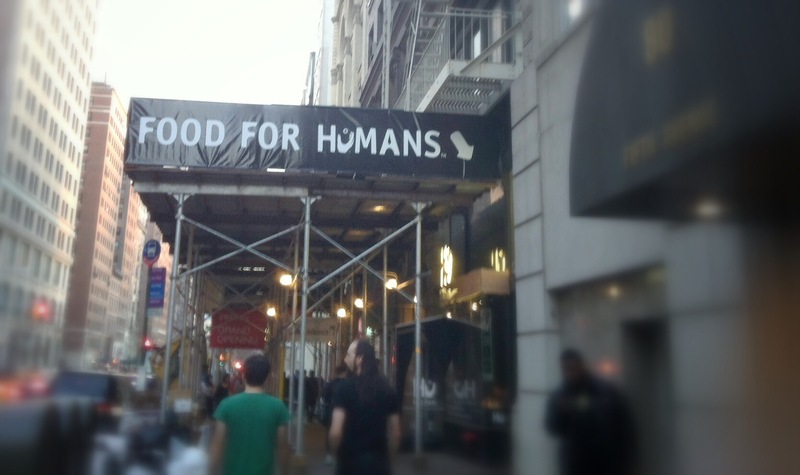 So downtown we drove to the corner of 5th Ave and 14th St and entered under a sign that said “Food For Humans” and pointed to a door below. The inside was warm with rustic wood accents. There was a bar with organic wines and beers (the ONLY gluten here) as well as a pretty good selection of Gluten Free beer and organic hard cider. They even had KOMBUCHA on tap. Let me tell you….previously I’ve only had the stuff that you buy in Whole Foods, which is yummy, but holy moley, THIS was amazing and totally in a different league. I think it was a jasmine green flavor, and it was the perfect amount of sweetness and punch. Once I walked past the bar, there was a prepared counter (like in a deli) with TONS of offerings. I tasted the stuffed squash that my friend got, and it was really spot on good. In the back they had a menu hot dinners, and sides, and since I glanced at the menu on the way in, I knew this was exactly where I was going. I ordered the Wild Meatloaf (wild boar, wild elk, berkshire pork, org egg, onion, garlic, parsley) with sides of Caramelized Pineapple with Cashew Cream, and the Rustic Root Vegetable Mash. I watched them make my plate, and the portions were a lot bigger, much to my delight, than I expected. They even gave me a sample piece of Hu Bread, which is not actually bread, and completely grain free. I ordered a latte with coconut milk at the bar, and sat down with my food, super excited to dig in! The meal can be summed up super easy – THIS IS MY FAVORITE PLACE EVER. Everything was exploding with flavor. 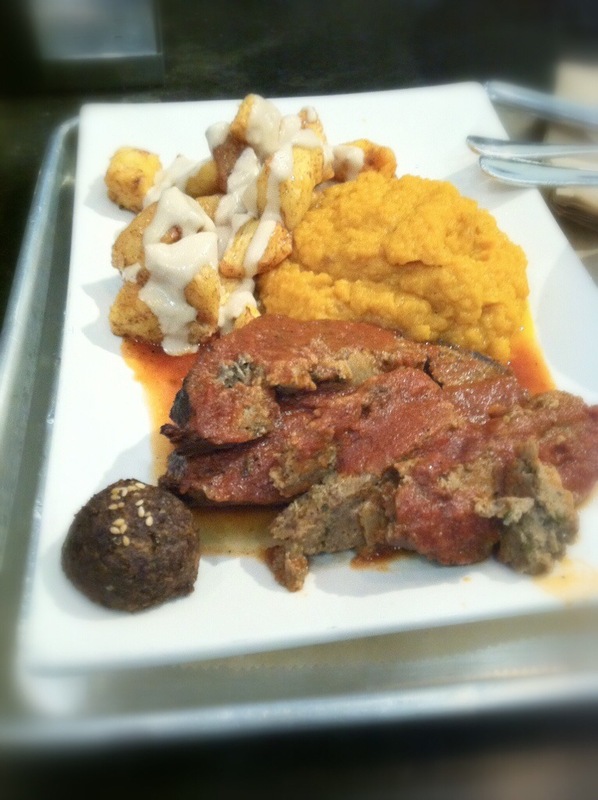 The meatloaf, was rich and earthy , the root vegetable mash, was a comforting blend of sweet potato, carrots, and other things that I forget…but it was delightful and a perfect complement. To sweeten the plate up, and round off the meal, there were the roasted pineapples with cashew cream. I don’t know exactly what makes cashew cream, but it was amazing and I wanted to dip everything into it. It was sweet, but not too sweet (and I’m pretty sensitive to sweet things), and complemented the pineapple perfectly. I tasted Mike’s soup, a dairy free Butternut Squash Bisque, and it was so flavorful, I kept stealing spoons from him. The icing on my cake (figuratively of course) was my latte. It was so nice to be able to get something other than Black Coffee. being coconut milk based It’s not as light and creamy as a Starbucks latte, but the flavor is beautiful. By the end of my meal, I was stuffed, and beaming with excitement that this place existed in the world. If you are in NY you need to go here. This place needs to exist, and I hope to see them expand closer to me one day. This is exactly the type of place I would open, if I ever had the time, money, and drive to expand out of my kitchen. This place is truly important and doing things completely right.